Welcome to the best Martial Arts Academy in Kaiserslautern, Homburg and Saarbrücken for Authentic Brazilian Jiu-Jitsu! 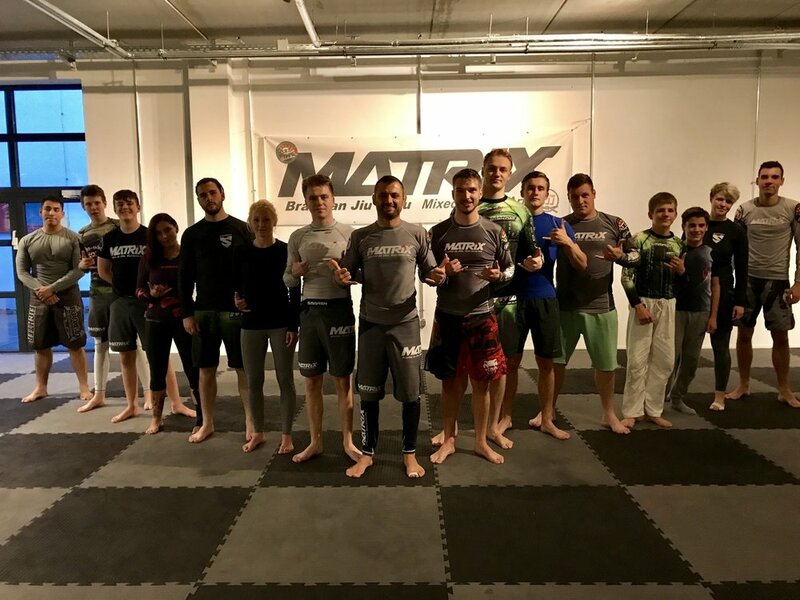 Here at Matrix Jiu-Jitsu, We are honored to teach authentic Jiu Jitsu at all of our locations in Kaiserslautern, Homburg and Saarbücken (all Germany). We specialize in teaching practical self-defense designed for modern day application while also teaching modern Brazilian Jiu-Jitsu (BJJ) techniques that have been successful at some of the best competitions in Europe. Members can expect top-notch instruction from patient and enthusiastic instructors who have dedicated their lives to teaching the amazing art of Jiu Jitsu! No previous experience is needed, you will even get to work with an instructor in your first lesson. Brazilian Jiu Jitsu is renowned as the best Martial Art in the world for self defense. Sign up now for a free ten day trial. Not only will you learn effective self defense but you will also improve your health, boost your energy, and you will sharpen your mind learning a new skill! Our highly detailed and structured curriculum helps students retain the techniques they have learned. We only utilize instructors that are respectful, courteous, professional, and who actively train. You will never be taught by an unqualified person who does not take their own training seriously. You are probably asking yourself, "What is the best Martial Arts school in Kaiserslautern for Jiu Jitsu?" The great thing about Matrix Jiu Jitsu is that we allow all new people to take a FREE ten day trial in our amazing self-defense programs to make sure that they are totally in love with our Martial Arts School. We teach authentic Jiu Jitsu and Self Defense in a safe and clean martial arts facility. Our martial arts programs for both kids and adults are unique and effective, you have maybe never experienced anything quite like what we offer! Our Jiu Jitsu programs for kids build confidence and help them develop socially. Our kids martial arts classes also address bully prevention and self-defense goals. Most importantly, the atmosphere in our dojo is a family atmosphere. Everyone is very friendly and training with us is a lot of fun. The primary objective in Brazilian Jiu Jitsu as a self-defense system is to close the distance, take the opponent to the ground, and submit the opponent using leverage based grappling techniques such as arm locks, chokes, leg locks, neck cranks or small joint manipulation. At our Martial Arts schools in Kaiserslautern, Homburg and Saarbrücken, Germany, we teach Jiu-Jitsu that works! Watch the videos below and learn more about our amazing programs and athletes! There are two types uniforms in Jiu-Jitsu. Classes are designated as either Gi or "No Gi", which refers to simply wearing athletic clothing. New students should not feel discouraged from attending "Gi" class if they do not yet own a Gi. All are welcome! René Becker is the head-coach at Matrix Jiu-Jitsu, a BJJ black belt under Aaron Milam (Lineage: Mitsuyo Maeda > Carlos Gracie Sr. > Helio Gracie > Carlos Gracie Junior > Renzo Gracie > John Danaher > Aaron Milam) with more than 14 years grappling experience focusing mostly Nogi-Jiu Jitsu. René is a highly skilled instructor who is known in Germany for being able to quickly train students to a very high level. 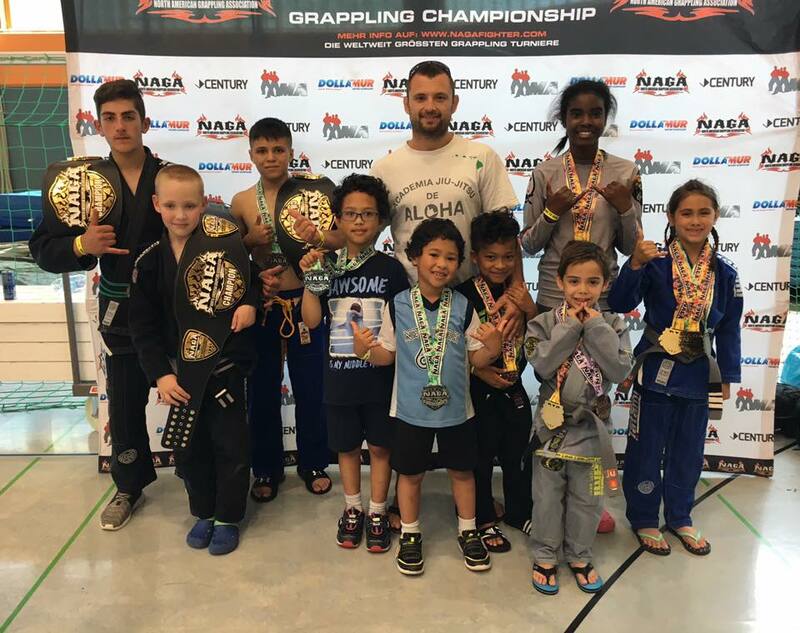 Many of René's students have competed at high level tournaments in the region such as the ADCC European Championships, NAGA, and the Shooto Grappling Championship. René is the instructor for almost all classes at Matrix Jiu-Jitsu. Students training at Matrix can expect to personally train with René on an almost daily basis. Andreas is a Brown Belt in Brazilian Jiu Jitsu and has 20 years of Martial Art´s experience. He is the Headcoach for the well known and very succesful Matrix Kids and Teen Program. Additionaly he is the main coach at the Homburg Location and an active competitor. The Fundamental and Women Only Classes are also taught by him and if you want to get in touch with Matrix you´ll probably talk to him as he handles most of the administration for the Gyms. He started fighting MMA in 2005. He was 1-0 as an amateur and 2-1 pro. He recieved his purple belt from Drysdale directly and recently his brown under professor Jesse Briggs (an affiliate of Drysdale and Paulson) around 2010. He realized that most fighters did not understand that ground and stand up striking for MMA is its own art, so he began to focus his learning and instruction specifically on this. He is the MMA-Coach of Matrix-BJJ in Kaiserslautern. Coach at Matrix-Kaiserslautern especially for the Gi-classes. BJJ Black Belt under Professor Carlos David Oliveira (Roberto Traven Black Belt). Founder of the Armed Forces Martial Arts Network. Currently stationed at Ramstein Air Base teaching classes. He holds classes and seminars wherever the U.S. Air force decides to put me. Wherever duty calls, he will bring Jiu-Jitsu. 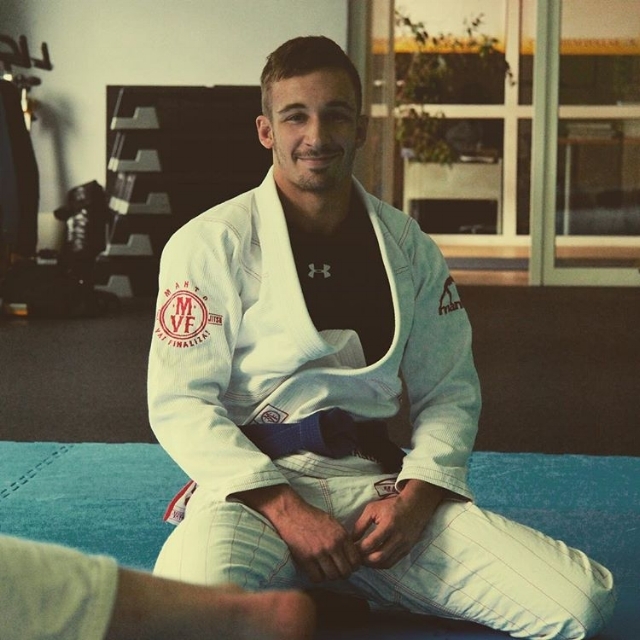 Yari Vaculik is a Purple belt in Brazilian Jiu-Jitsu who teaches most of the fundamental classes. If you take a class from Yari, you will receive detailed and easy to understand information about the basics of BJJ. Yari's classes involve drills, teaching techniques, and sparring from positions that were practiced in class. Yari is the primary teacher for classes at Kaiserslautern University. If you're interested in taking a class on Tuesdays at Uni-Fit, Yari will be there to greet you. Coach at Matrix-Saarbrücken, BJJ-Brownbelt under Kristian Popov. 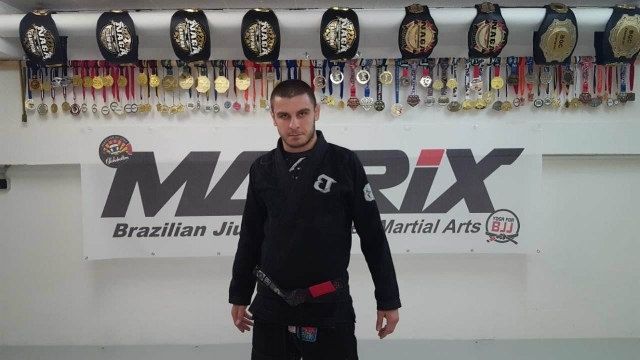 Coach at Matrix-Saarbrücken, BJJ-Blackbelt under Robson Barbosa. Would you like us to give you more information about classes at Matrix? Please enter your information below and one of our coaches will contact you over phone or email.